When the heart guides the hand, art flourishes. I have not been very active this year, but am looking forward to more exchanges in the future. 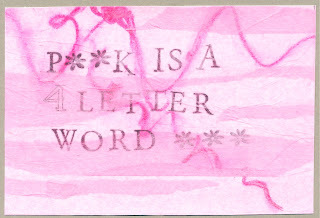 Only mail art that I send out will be posted in this blog. 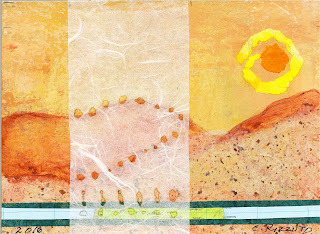 By CR for Melissa Fletcher, Jackson, TN USA. 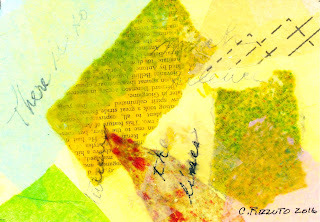 Postcard: collage with pattern paper and artist biographies. Series inspired by an old book of artists biographies. There was only one female artist in the book--Vigee LeBrun. The use of pattern paper adds the feminine element to art history. chain stitch and shisha stitch over copper. 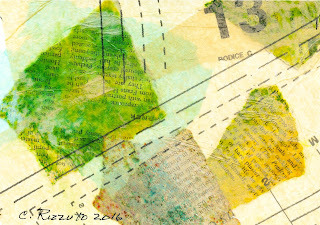 Collage with mulberry papers, pyrography, Australia map segment. By CR for Raphael'L, Tullins, France. By CR for Stripygoose, London, UK. Warehouse Artist Lofts, Sacramento CA. 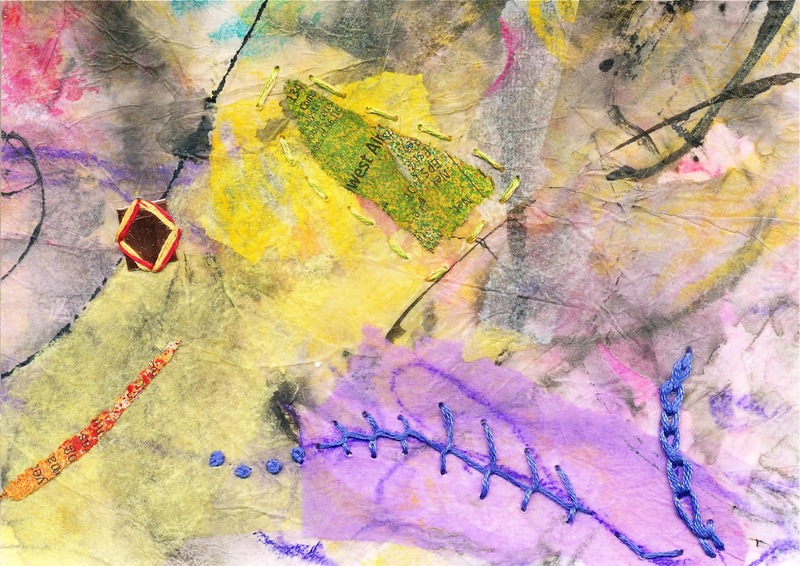 Media: Tissue paper collage, watercolor crayon, with stamping. 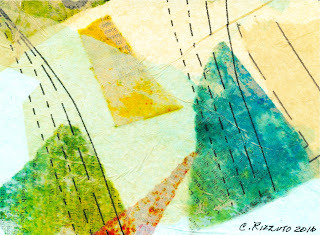 Art from the heart--- I enjoy using drawing, printmaking, and collage to create unique works. 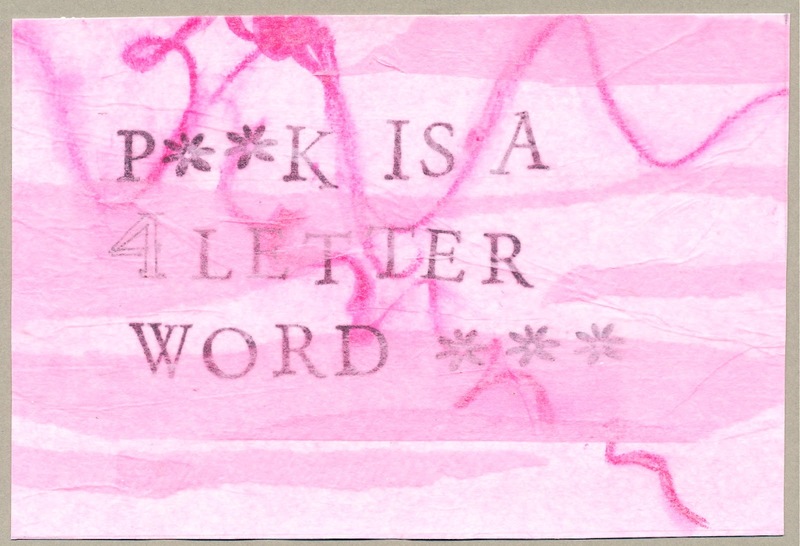 My art practice includes participating in sketching and mail art groups. All rights are reserved by the blog's author, Carmela Rizzuto (CR) and contributing artists. All rights are reserved by the author and contributing artists. Simple theme. Powered by Blogger.